A neck lift basically constitutes the lower half of a facelift. It can be done as an isolated surgery without the upper portion of a facelift if the only concern is the shape and appearance of the neck with no issues regarding the cheeks or jowls. With a standard facelift, the incision starts in the scalp above the ear, extends down in front of the ear and under the earlobe to the crease behind the ear. It then proceeds up that crease and finally it goes back into the scalp behind the ear. In addition, there is a small incision which runs in a transverse direction under the chin, which is use to access the center of the neck. The major benefits obtained from a standard facelift include smoothing of the cheeks, elimination of sagging jowls, better definition of the jaw line and a more youthful appearing neck. The skin is elevated off of the underlying muscles before the muscles and their encompassing tissue (fascia) are pulled upwards and backwards and suspended with absorbable sutures. Some liposuction of the neck and jowls may also be performed before the skin is gently elevated, the excess removed and the incisions closed with sutures. At least one drain, if not two, are placed in the neck and removed within a few days of surgery. By eliminating the incisions in the scalp above and in front of the ears and elevating only the skin and muscles on the neck, a facelift is converted into a neck lift. This surgery improves the contour of the neck mostly by tightening the muscles and removing excess fat; loose skin is also removed from behind the ears. 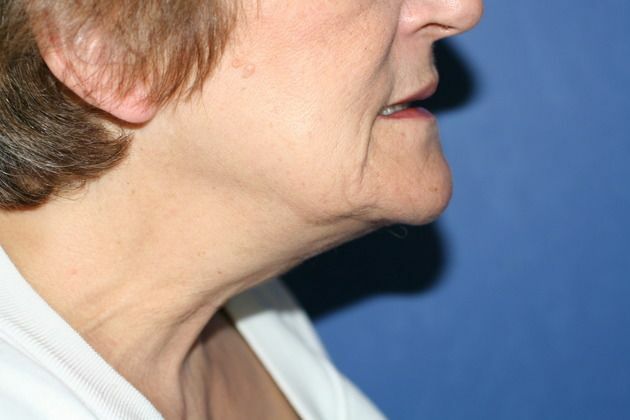 A neck lift can also create a more acute angle between the upper neck and lower neck. 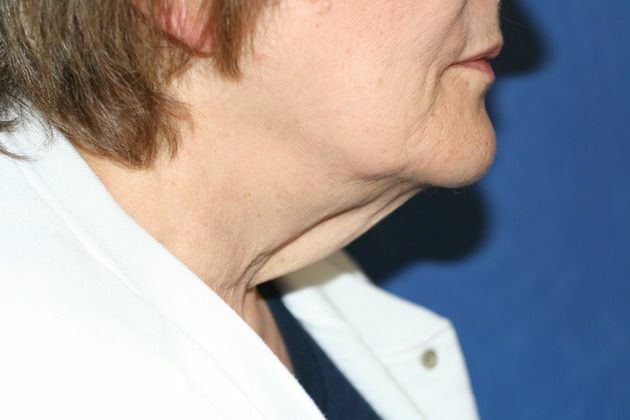 It is important to note that an isolated neck lift will NOT improve sagging jowls. To make these look better, the upper half of a facelift must be done. They can be treated alone, without the neck lift as a mini-facelift. The recovery from a neck lift is generally less than for a facelift with less bruising and swelling. The initial dressing is removed in 24 hours at which time a mild compression garment is applied. The sutures are taken out in stages with all of them being removed within a week; normal activities can be resumed in 10-14 days. Initially after a facelift or a neck lift, the tightening of the muscles may give you a sense of a tight band around your neck and can even make swallowing a little difficult. This relaxes relatively quickly and the sensation goes away in a few days. Other procedures can be performed at the same time as a neck lift including eyelid surgery, a brow lift, rhinoplasty, facial skin resurfacing and ear pinning surgery as well as body contouring procedures such as breast augmentation, breast lift or liposuction.